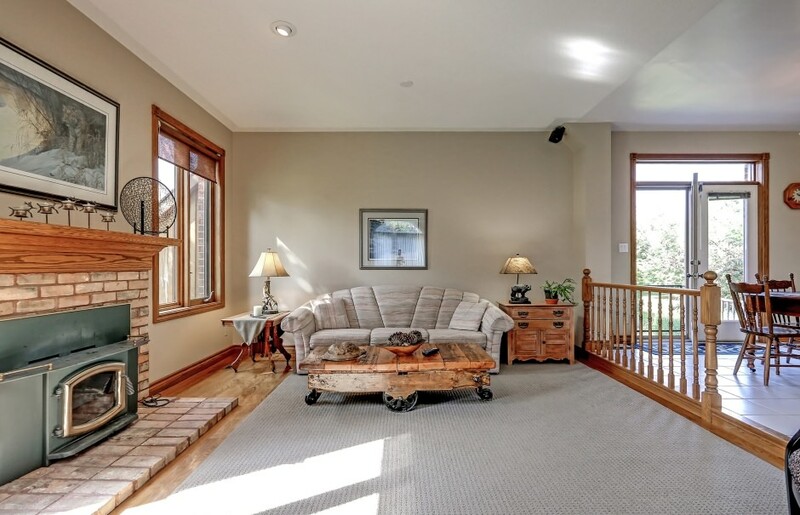 Just minutes south of the 401 in the town of Puslinch, this stunning executive custom built home offers country estate living in a tranquil upscale hamlet community, and is just a short drive to Hamilton, Mississauga, Toronto and Pearson International Airport. Proudly situated on a nearly one acre lot, this home boasts 4 plus 2 bedrooms, 4 bathrooms, an oversized two car garage and 4,379 sq ft of finished total living space. The entrance to this luxury home begins with a bright open foyer with 9’ foot ceiling heights throughout the main level with choice finishes such as rich wood millwork, Berber carpeting, tile and hardwood floors. The gourmet kitchen features, pot lighting, a centre island, plenty of cabinetry with glass display and accent valance lighting, writer's nook and large bright breakfast area. Walkout through double French doors to a private deck overlooking a fabulous inground salt water pool and massive one acre ravine yard. The Kitchen opens to the sunken family room which features hardwood floors, wood fireplace, large windows and surround sound. The dining room features a dramatic floor to ceiling Palladian window offering an abundance of natural light, hardwood flooring and a six point chandelier. The specious formal living room, powder room, laundry with shower and access to the 2-car garage, complete the main level. 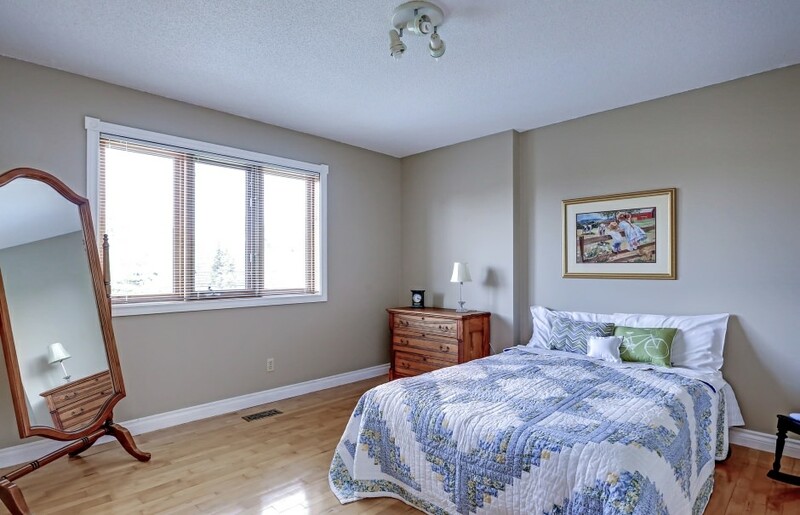 The 2nd level has four spacious bedrooms and two full baths. The master features a walk-in closet and secondary closet, 4 piece ensuite with vanity, Jacuzzi tub and shower. The professionally finished lower level features a nanny suite with its own private entrance, second kitchen, games room with gas fireplace and two additional bedrooms. The 3 piece bath, cold room and utility room completes the lower level. The grounds offer a degree of privacy often sought, but rarely found. 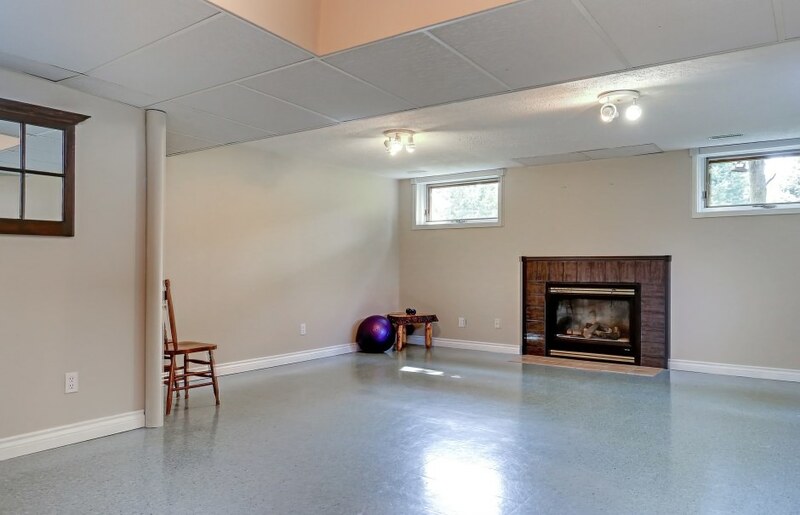 Impeccably landscaped with an abundance of mature trees and shrubs maintained by inground sprinkler system and two garden sheds for housing all your tools. The brick exterior and accent lighting give this home a timeless appeal. Those with an appreciation for the outdoors will be captivated by this fabulous lifestyle opportunity.